New Orleans always puts its stamp on things, and cocktails are no exception. No matter where you pull up our bar stool in this great city, you’ll never be at a loss for a great cocktail. And despite the enduring and admittedly important presence of daiquiri chains and vibrantly colored Hurricane Cocktails (whose origin is credited to Pat O’Brien’s), New Orleans’ cocktail culture and those who love it have a bright, if slightly blurry, future ahead of them. A classic New Orleans Hurricane Cocktail. 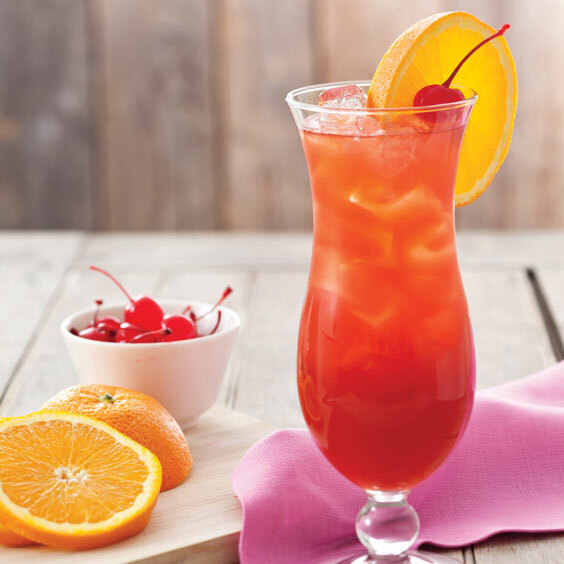 In a cocktail shaker, combine rums, grenadine, orange and lime juice, and sugar. Shake until sugar is dissolved, about 30 seconds. Fill a hurricane glass halfway with ice; pour rum mixture over. Garnish with orange and cherry. Guard It Will Climb UP on you Like a Sludge HAMMERER …..
Love this site!!! The Cajun Mac and cheese is delicious.